If you have any questions about the NENA information page below please contact us. Hailing from the Cantieri Di Pisa ship building company in Italy the NENA is 36 metre 119 (ft) in length. Christened in 2009 the recent interior decoration promulgates the ongoing develpoments from Cantieri Di Pisa and their approach to interior yacht design. 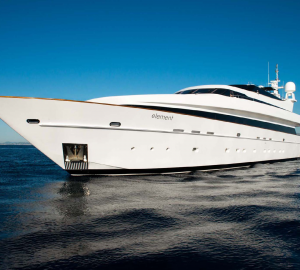 Superyacht NENA can accommodate up to 9 guests with 5 crew. Her former names or project names were (Akhir 118). She can attain a maximum speed of 27 knots. Cantieri Di Pisa Yacht Design was the naval architecture company involved in the formal vessel design work for NENA. Also the company Cantieri Di Pisa and Carlo Galeazzi successfully worked on this undertaking. Interior designer Cantieri Di Pisa was charged with the overall internal styling. Created at Cantieri Di Pisa the yacht was built in the known yacht building country Italy. She was officially launched in Pisa in 2009 before being handed over to the owner. The hull was crafted from GRP composite. The motor yacht superstructure component is fabricated for the most part using grp. With a beam of 7.51 metres or 24.64 ft NENA has moderate internal space. She has a reasonably shallow draught of 2.47m (8.1ft). The 16V 4000 M93 engine powering the yacht is built by MTU. Coupled to the NENA engines are twin screw propellers. The main engine of the ship gives 2400 horse power (or 1790 kilowatts). She is fitted with 2 engines. The total thrust for the yacht is therefore 4800 HP / 3580 KW. With cabins for a limit of 9 yacht guests staying on board, the NENA accommodates them comfortably. The boat uses circa 5 professional yacht crew to operate. 36.13 metres / 118.54 feet. Her Engine(s) is two 2400 HP / 1790 kW MTU. The Model type is 16V 4000 M93 diesel. 2120 at a speed of 12 knots. 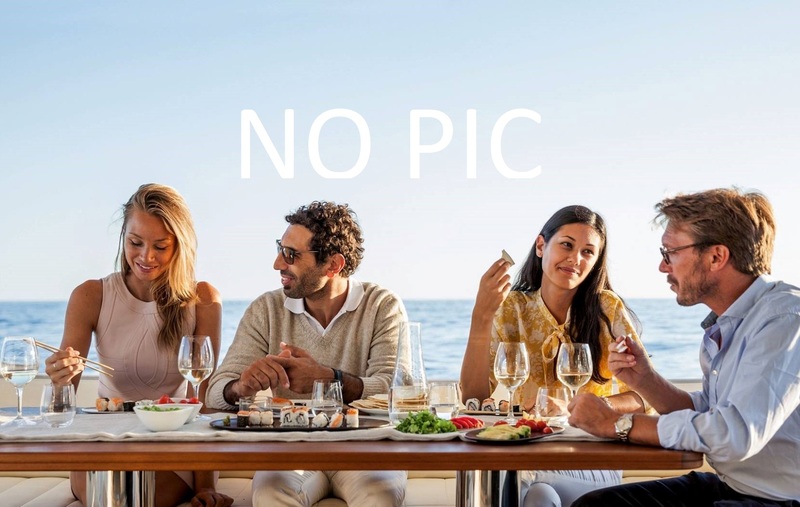 The luxury yacht NENA displayed on this page is merely informational and she is not necessarily available for yacht charter or for sale, nor is she represented or marketed in anyway by CharterWorld. This web page and the superyacht information contained herein is not contractual. All yacht specifications and informations are displayed in good faith but CharterWorld does not warrant or assume any legal liability or responsibility for the current accuracy, completeness, validity, or usefulness of any superyacht information and/or images displayed. All boat information is subject to change without prior notice and may not be current.